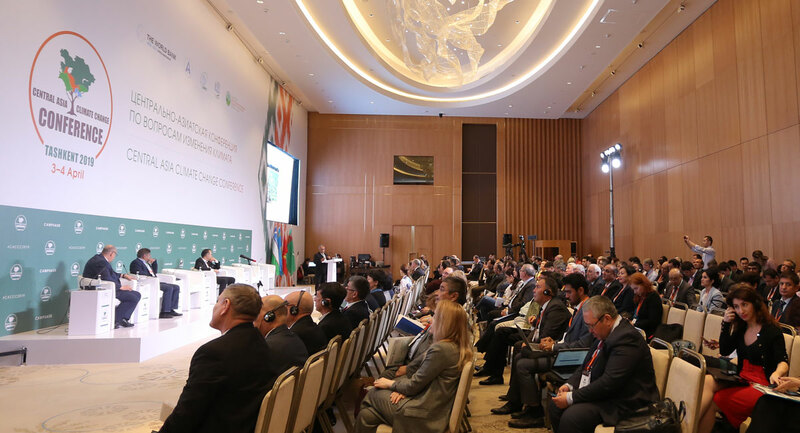 The Second Central Asian Climate Change Conference (CACCC-2019), which was held in Tashkent, Uzbekistan, on April 3-4, 2019, was completed. The main objective of the conference is to promote regional cooperation and partnership in the field of climate change adaptation and mitigation in Central Asia. 390 people participated in the sessions and discussions of the conference. During the two days of the conference more than 80 speakers made presentations, 5 plenary sessions were held, as well as 5 parallel sessions. Also, within the framework of CACCC-2019, 3 pre-conference sessions, a post-conference session of public organizations networks and an exhibition of climate-resilient technologies were held. 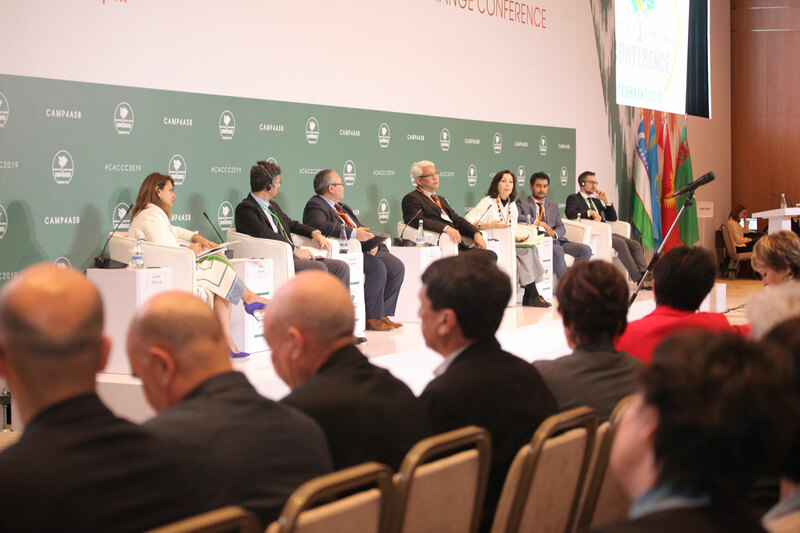 Participants included representatives of Central Asian governments, international and regional organizations, diplomatic missions, multilateral development banks and civil society organizations, as well as leading experts in the field of climate change, young leaders and representatives of the environmental sector. The main topics of the conference were: global and regional climate trends, the fulfilment of countries ’obligations under the Paris Agreement, the development of climate services, the introduction of innovative technologies and practices, broad stakeholder involvement, increased academic potential and access to climate finance. 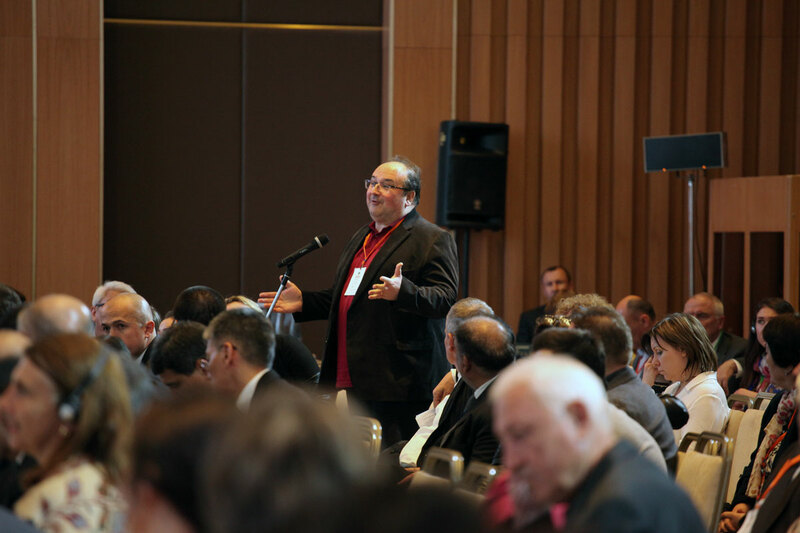 During the debriefing of CACCC-2019, key messages of the plenary and parallel sessions, summarizing the results of the work, were voiced. Also, during the final session, representatives of international organizations spoke in the format of an interactive discussion with information on new initiatives and projects that would help advance the climate agenda in the region. At the closing of the conference there was an appeal to the participants on behalf of the Director of Department of Environment and Natural Resources of the World Bank, Mr. Benoît Bosquet : “I am impressed with the level of preparation and thematic equipment of the conference. This has contributed to the formation of rich bases for discussion at the conference, which became a good platform for all of us, so that we can get together once a year and exchange our views on what has already been achieved and what problems became significant in the meantime." At the end of the conference, a final “call for action” document was adopted that promotes regional cooperation and joint implementation of measures to adapt to climate change and mitigate its effects. This paper calls for regional efforts to bring attention to the issue of climate change; making immediate, science-based decisions in the management of energy, industrial, land, transport and urban systems; revision of the quantitative obligations of the Central Asian countries to the UNFCCC by increasing them; etc. Additional information: The Central Asian Climate Change Conference (CACCC-2019) is a continuation of the World Bank's initiative to exchange knowledge and information on climate change in Central Asia, supported by the CAMP4ASBproject. The first conference of the project was organized on January 24-25, 2018 in the city of Almaty, Kazakhstan and was the result of the fruitful work of all stakeholders. The key messages which formed the basis of the thematic concept and program of the forthcoming CACCC-2019 event were elaborated Following the results of CACCC-2018.